Depending on where you live, it may be feasible to drive to Walt Disney World. Thousands of people make the journey by car every day, and the area is well equipped to handle plenty of vehicles. 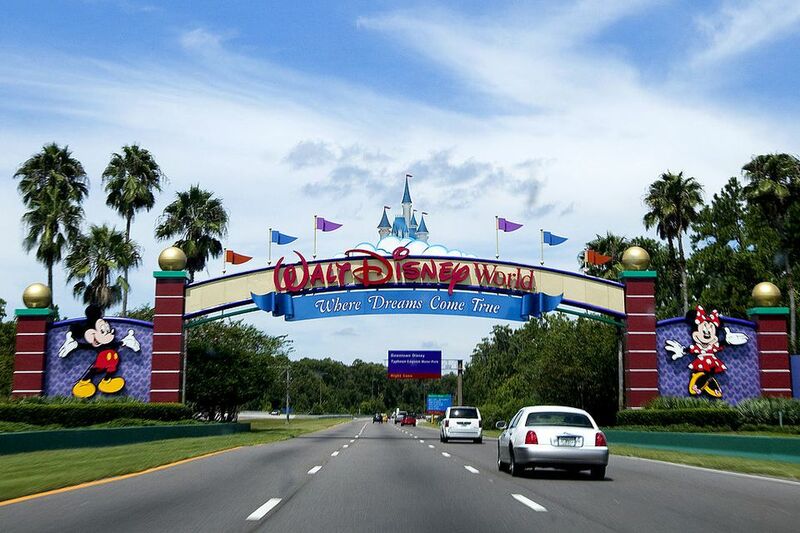 Taking your car to Disney can save you a lot of money on travel expenses. Flying into Orlando may be the quickest option, but the cost may be prohibitive, particularly if you are vacationing during the high season or with a large group. If you do choose to drive, this also gives you the freedom to bypass the Disney transportation system and use your own vehicle to travel between parks, which will save hours of time each day. You can get your kids excited for the trip by designing a countdown calendar, viewing a Disney World vacation planner DVD, and watching your favorite Disney films before you leave and during the road trip. You should have plenty of snacks on hand, especially if you have very young children, as well as lots of bottled water. An audiobook or a podcast is a great way to pass the time, particularly for the driver and giving each of your children headphones will help keep the peace in the car. You can get into the Disney spirit by listening to Radio Disney or a Disney-related podcast, and by giving your kids coloring and activity books, Disney-themed books like "Keys to the Kingdom" young adults series, or a Disney travel guide for kids. If you are traveling to Disney from the north—on Interstates 75 or 95—stop at the Florida Welcome Center when you enter the state. Not only will you have a chance to stretch your legs, but you also can enjoy a complimentary glass of Florida orange or grapefruit juice and pick up informative literature about the Disney parks and other local attractions. Although you're now in Florida, you will still have several hours of driving before reaching Orlando. Keep an eye out for Cracker Barrel restaurants at various highway and interstate exits. They offer clean restrooms, coffee, drinks, and snacks to go, as well as sit-down restaurant service, and complimentary road maps. If you are traveling in either direction on the Florida Turnpike (state roads 91 and 821), look for service plazas along the route if you're looking to stop for a while. Don't forget to bring lots of change for tolls if you are taking the turnpike, or you can roll straight through the tolls by paying with a SunPass. The Walt Disney World exits are located along I-4. If you are staying on Disney property, follow the signs to your resort, and when you reach the gate, give the guard your name. You may also need to provide identification. Park as directed, or use the valet, and proceed to check in. You will not need to pay to park unless you choose to use the valet parking service. If you are staying at a monorail resort, you may not need to use your car again for the duration of your trip.